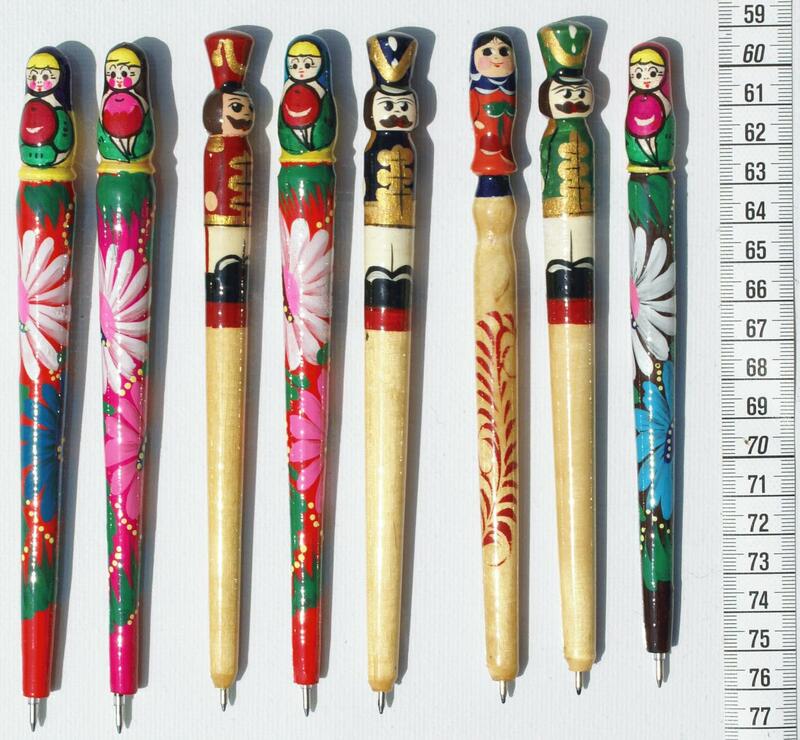 The pens adorned with ethnic Russian paintings. There are women and men shape. 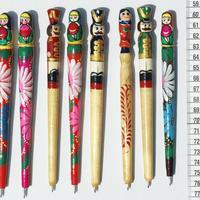 Hand painted in matryoshka style.